ROGERS PARK — The neighborhood's new top cop, a self-described South Sider, is used to "a lot more violence, a lot more shootings, a lot more gangs," and said he's learning the lay of the land. Cmdr. Terrence Williams was appointed to the Rogers Park Police District last week after former Cmdr. James Roussell was reassigned to oversee four other district commanders in the city's Area Central patrol. "I'm a South Sider," said Williams, who introduced himself to Devon Avenue business owners earlier in the week at Cary's Lounge, 2251 W. Devon Ave.
Williams said he had formerly worked as the commander of the Calumet Police District, which includes the city's Roseland neighborhood, where there was "a lot more violence, a lot more shootings, a lot more gangs" than Rogers Park. Most recently he served as a captain in the Austin Police District. "I've always been in dangerous places," so the new post would be a change and a "challenge." He reiterated that as the weather warms, he and officers will focus on stemming violence early in the summer. "Right now, we're at that crossroads of crime," he said. "If you let this type of activity fester right now, we're going to be fighting it all summer." Williams assured the business owners, who were huddled around the bar's pool table, that much of the day-to-day operations within the district would remain the same. But he said he would be adding five or six plainclothes police officers to the streets. "One of the things that I inherited was a great district," he said, praising his predecessor. "We're all on the same page — safety is paramount to all of us." On Thursday afternoon, Chicago Police Supt. Garry McCarthy announced Williams as the new commander of the Wentworth District on the South Side. 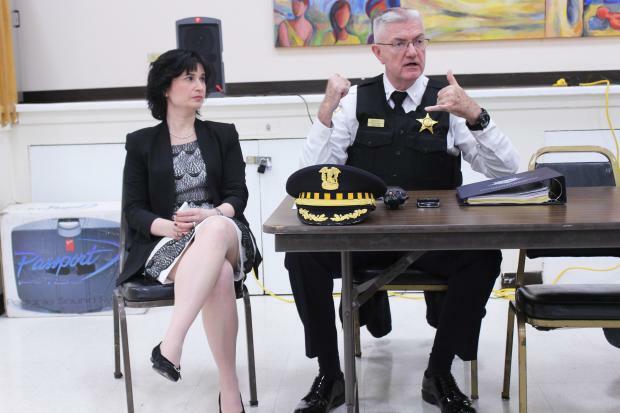 Thomas Waldera, formerly commanding officer of the Area North gangs division, was named commander of the Rogers Park District. Police had no comment about the shift.